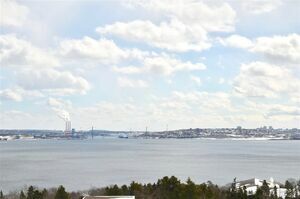 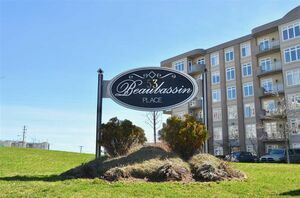 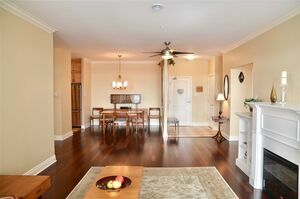 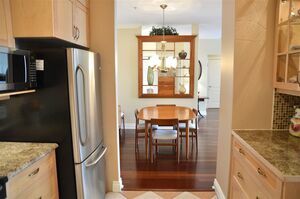 309 53 Bedros Lane, Halifax (MLS® 201904401): Enjoy care free living and sweeping views of the Bedford Basin and Halifax Peninsula in this gorgeous 3 bedroom 2 bath condo. 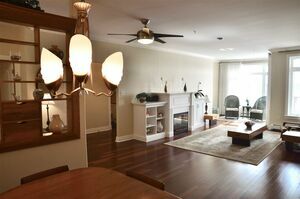 You will love this well maintained unit with beautiful hardwood flooring and an abundance of custom upgrades including: mid-century modern inspired teak wood built-in, window treatments, shelving and cabinetry throughout the unit, and sculptural light fixtures and ceiling fans. 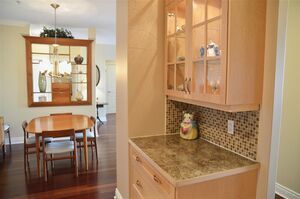 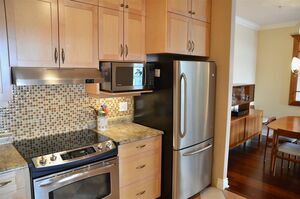 The kitchen features floor to ceiling cabinets with built in lighting, stainless steel appliances, timeless checkerboard ceramic flooring, and stylish glass tile backsplash. 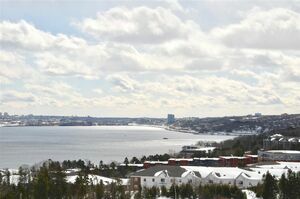 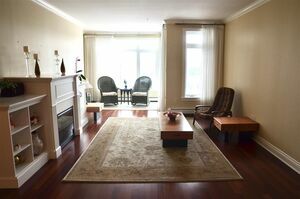 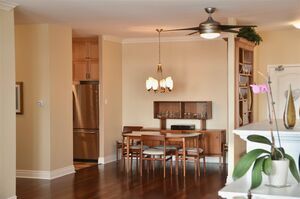 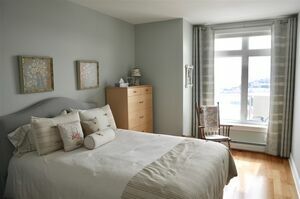 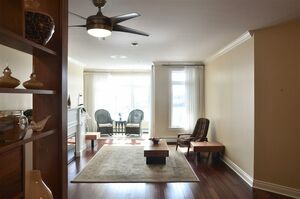 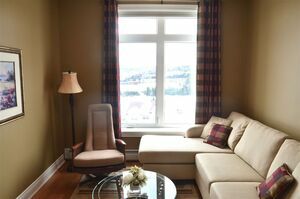 The living and dining area is expansive, with huge windows that flood the unit in natural light, electric fireplace with built in storage, and access to the balcony overlooking the Bedford Basin. 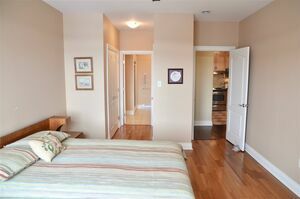 The Master bedroom features the same fabulous views as the rest of the unit, as well as matching walkthrough closets, and a spacious ensuite with even more built in storage. 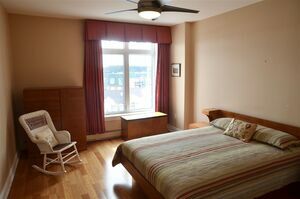 Enjoy the in unit storage room with floor to ceiling shelving and standup freezer, as well as the in suite laundry room. 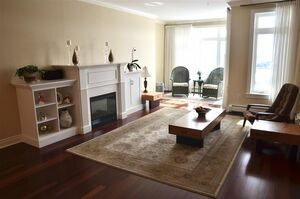 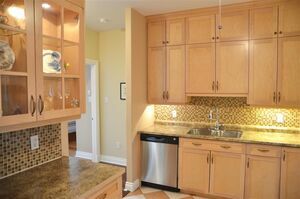 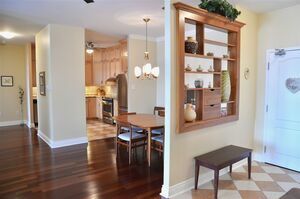 The fabulous location close to shopping, groceries, transit, highway access, and more. 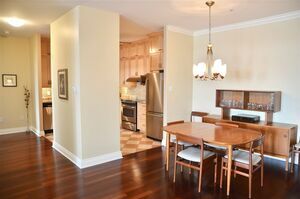 But with amenities such as underground parking, car wash station, fitness room, party room, and more, why would you ever need to leave? 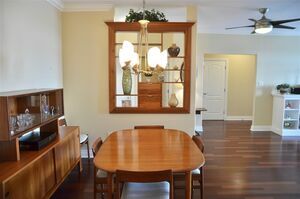 Main Floor Dining Room 10' x 7'10"
Main Floor Laundry 6'1" x 5'10"
Main Floor Living Room 21'1" x 14'1"
Main Floor OTHER Balcony: 19' x 5'5"
Main Floor Storage 9'10" x 7'8"
Main Floor Sun Room 8'7" x 7'7"